Social media has become the industry standard for business marketing & credibility. It’s where people go for content, brand awareness, company legitimacy, reviews, & customer care. We represent your company through digital platforms & we view ourselves as an extension of your company. As a part of your team, we take the extra time to understand your culture, brand, industry, & competition. 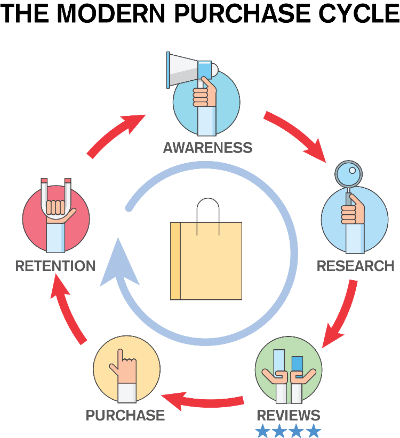 Understanding the modern purchase cycle is vital to engaging in an effective social media presence. We offer guaranteed consistency, curated content, and customized strategy to engage your audience!